In today’s episode, you will be inspired by the positive power of patience. Patience, as exercised by taking positive action in the face of set-back, frustration, anger, and compulsion leads to peace, calm and greater effectiveness! Like any state we’re trying to achieve in our life, a state of patience, calm, and perspective requires deliberate practice and…patience, exercised through positive action, gives you just that kind of peace and calm to be a highly successful leader! Yoga practitioners say that just as much work happens in the resting place as in the active poses, and the same goes for patience. If you commit to really beginning a ‘practice’ of patience accompanied by positive action, you will find that, over time, frustration will be replaced with positive results and allow you to achieve your dreams, goals, and aspirations. 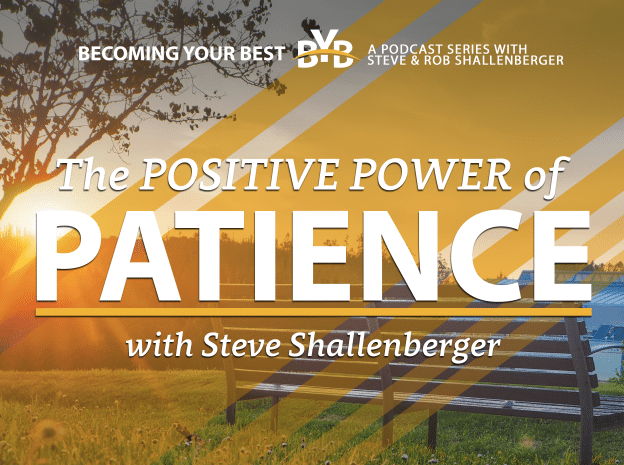 Tune in for more insights on the positive power of patience! Understand the power of patience and how slowing down will change your life!